In Rome, hotels with authentic style don’t get more centrally located than Corso281. The brainchild of talented entrepreneur Natalino Gisonna showcases architectural design by the award-winning Chiara Caberlon and is elegance and luxury at its very finest. The boutique property sits across 4 floors of an 18th century baroque noble palace, completely restored in 2014. 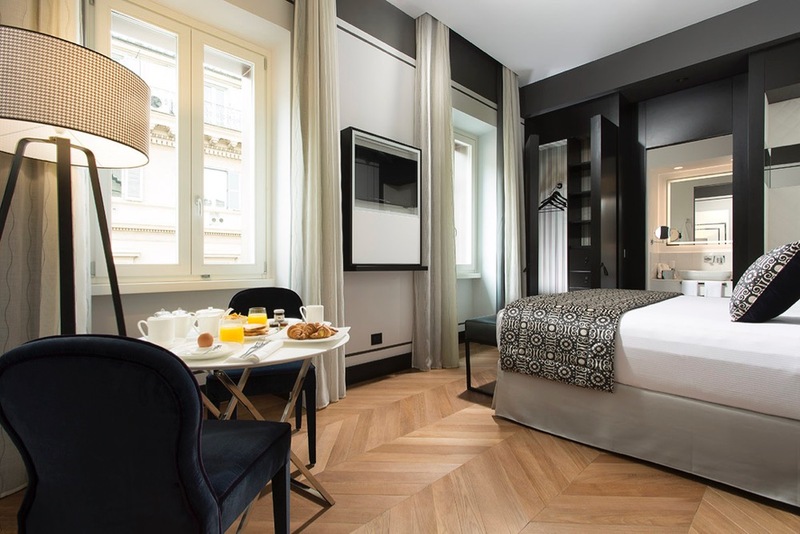 It is strategically and grandly positioned on Rome’s most famous thoroughfare Via del Corso at the Piazza Venezia end and boasts 12 designer appointed rooms. Each boasts views of either the grand Piazza Venezia, the elegant buildings of Via del Corso or the palace rooftops of the city. 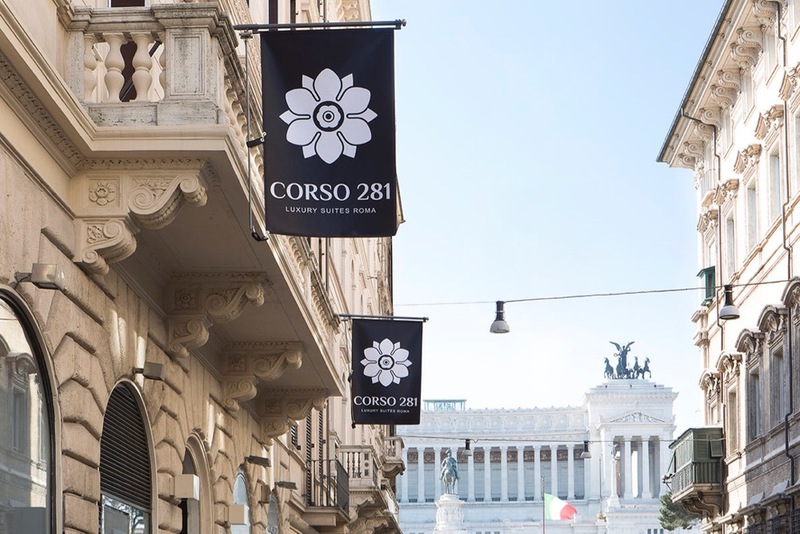 With its enviable location, state-of-the-art technology, a one-to-one personalised concierge service that gives you access to exclusive tours, activities and events, Corso281 brings unparalleled luxury and style to Rome’s highly saturated hotel sector. You may well never want to leave. 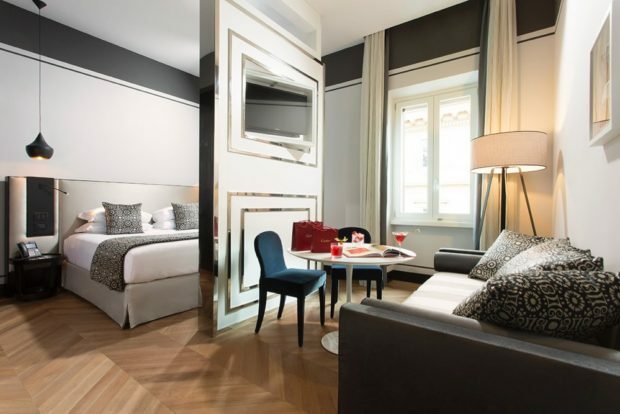 On Rome’s famous main thoroughfare, Via del Corso at the Piazza Venezia end, Corso281 is located a short walk from the Pantheon, Trevi Fountain and the Spanish Steps. Strategically positioned for shopping, sightseeing and all that Rome has to offer. Under the direction of owner Natalino Gisonna, Corso281 was brought to life by prominent and award-winning Milanese architect Chiara Caberlon. Design, luxury and sophistication is the true essence of the hotel style. Minimalist and the ultimate in Italian design, the finest of materials from Carrara marble to hardwood flooring, furnishings and plush fabrics bring a contemporary touch to the style that one comes to expect of a more classic Rome. 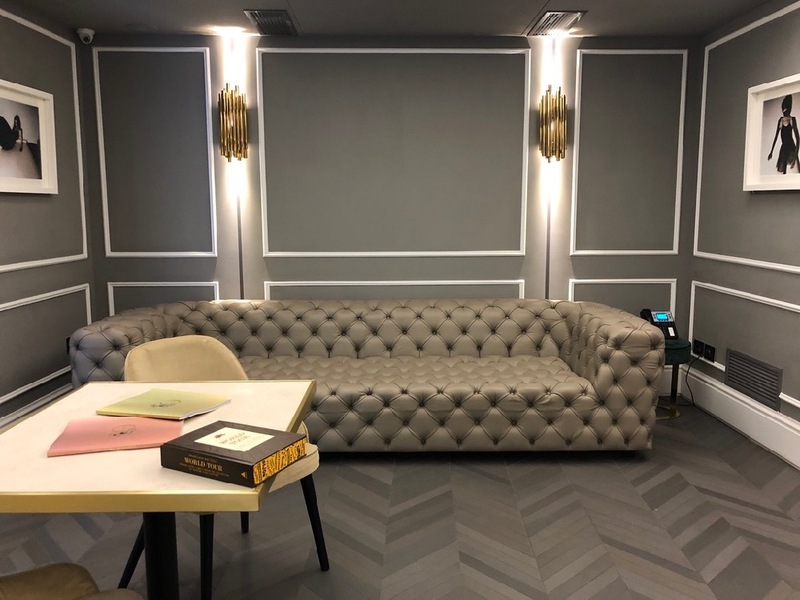 A natural beige, black and white make up the colour palate from the public areas to the carefully appointed luxury suites that are fitted with state of the art technology (from smart devices to touch lighting). The grand entrance with a modern crystal chandelier is a haven and escape from the busy Via del Corso and the lower ground hall, the caveau, is a hideaway stocked with travel, culinary and design books and an honesty bar. Prior to check in guests can select their pillow and mattress preferences, as well as the type of champagne, liqueurs and anything else they’d like for the mini bar. And then on arrival, check-in here is a smooth and friendly affair (available 24 /7). A staff member will guide you to your suite and introduce you to all the in-room features. I stayed in suite number 1 with its own private balcony overlooking the famous Via del Corso and Piazza Venezia. In true Corso281 style, the floors were hardwood and the features black and pristine white. The king bed was the perfect amount of comfort as were the fluffy pillows. With contemporary monochrome artwork on the walls, a stylish chaise lounge and table setting, it made perfect use of the space that then leads into the bathroom. On the bathroom, think floor to ceiling marble and stocked with complimentary Bulgari amenities, fluffy white robes and a slate grey rain shower. Some rooms feature a bath tub too. All the light switches are touch sensitive from turning on and off to adjusting brightness and canceling out windows mean noise from the busy Via del Corso isn’t an issue. They’ve thought of e everything! And with its large balcony overlooking Via del Corso, I felt as though I could touch the imposing white building Piazza Venezia is famous for (the monument to Vittorio Emanuele II). 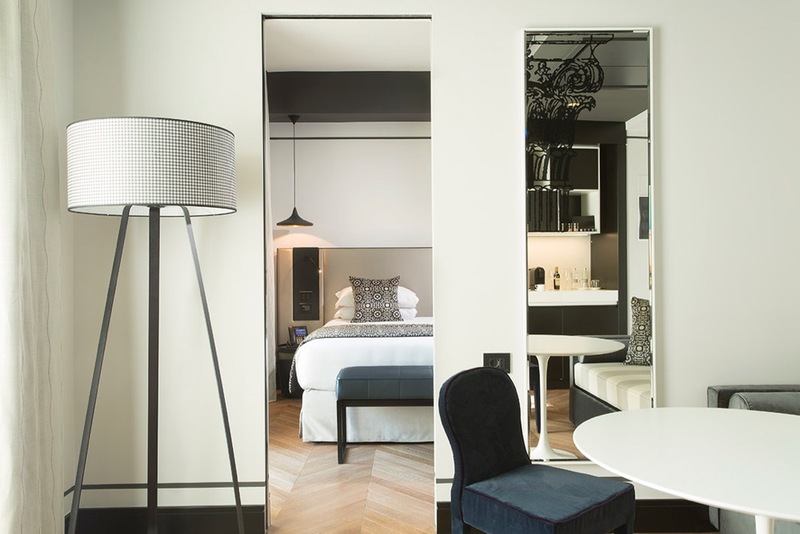 All rooms are connected with an in-room music system and other features include a Nespresso machine and a selection of high-end lifestyle magazines. There isn’t a restaurant on site, but suites or the stylish basement room can be transformed for a dinner with a private chef on request. 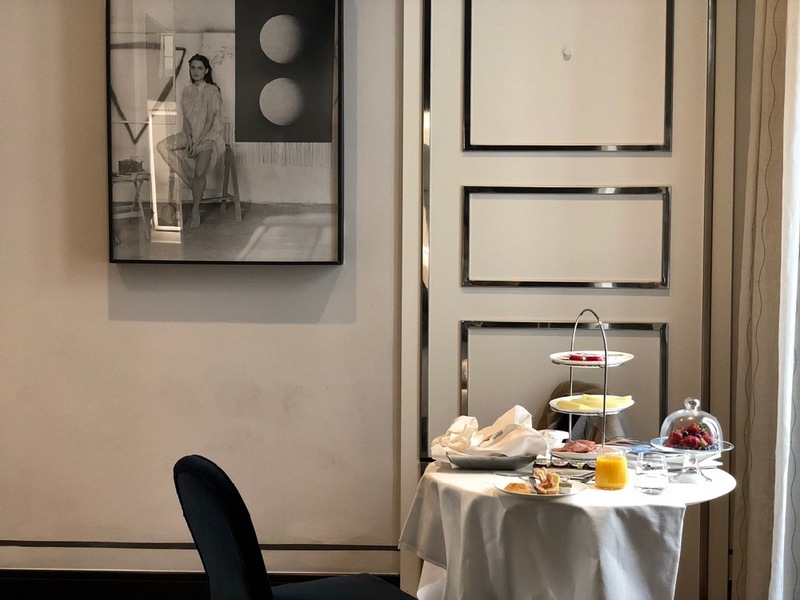 Breakfast is also included in your stay and is promptly served in your room so you can eat in bed or on your balcony if you have one (as I chose to!). Rome and it’s wide range of restaurants, trattorias and wine bars – from the casual to the fine dine – is at your doorstep. Staff and hotel owner and director, Natalino will guide you and help you decide on a place that’s just right for you. And if a culinary walk of the city is of interest, they can organise that too. One things for sure – you won’t go hungry during your stay at Corso281! Breakfast is a lazy, decadant experience – delivered to your room at a time of your choosing. 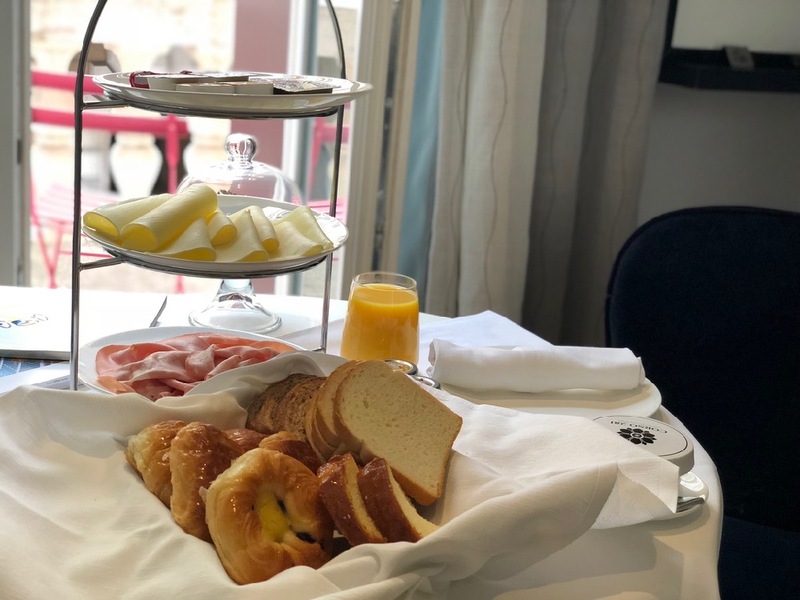 Continental breakfast with freshly baked sweet pastries from a renowned local bakery and cold meats and local cheeses are all included and so is coffee and juice. You can also order eggs and a range of hot dishes for an nominal fee. Celiac, vegan and other dietary requirements can be catered for. Free WiFi is available throughout the property and in each suite guests have a smartphone waiting for them. It has 4G internet and free local and international calls for use throughout your stay and means you can use it to guide you through the city as you need. On request, the services you’d expect from a big hotel are also available including a laundry and alterations service, shoe polish and cleaning, hair, make up and massages, babysitting and florist. The basement level is like a private den. The building was formerly home to a bank and the cellar or underground vault concept has sure been honoured with a host of treasures. It has been decked out with carefully selected travel, food, art and lifestyle books and a liquor and wine cabinet to impress even the fussiest of drinkers. There are labels on display that some international wine bars would kill for and if one is willing to buy, Natalino will be only to happy to crack open a bottle. 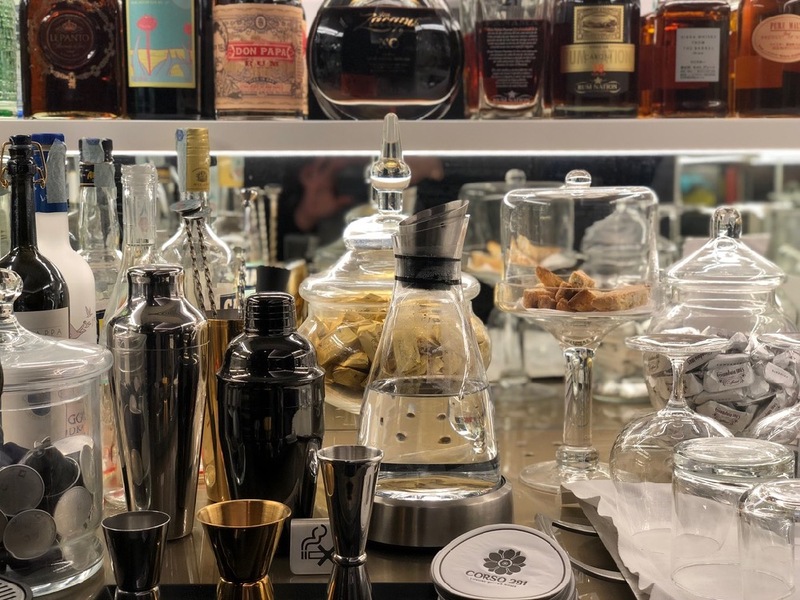 The liquor cabinet is well stocked with local and international spirits, and digestive liquors and there is an honesty system whereby you write down what you’ve consumed and pay on check-out. The hotel concierge (and namely, owner and director Natalino), offer a very personal and one-to-one service for guests and can coordinate anything from airport transfers to personal shopping to concert or sporting tickets to private tours of the Vatican or Colosseum. Nothing here seems out of reach – think, day trips out of Rome including sailing the island of Ponza aboard a private yacht or a visit to the isle of Capri by helicopter. This is the director’s personalised service where – pre or on arrival – he shares his favourite itineraries, the museums with his most loved artworks, favourite restaurants, cafes and boutiques. Hotel service in Rome doesn’t get much more personal than this – it’s like you have a friend in the city, ready and waiting to share all their secrets so you can experience the real Eternal City. Rates start at £280 (€320) in low season and from £660 (€750) in high season. The rate includes breakfast, free WiFi. Born to Italian parents, Maria always knew Rome was her destiny, although she was raised in Melbourne. With a formal background in political science and history, she is now a food and travel writer and contributes regularly to USA Today, The Telegraph, Condé Nast, CNN and Fodors. She has worked with major brands including Dubai One TV, Etihad, Marriott, Rocco Forte Hotel Group, Baglioni Hotels, Pullman, Paris Tourism Board and many others. Her popular and award-winning lifestyle blog, HeartRome is read in over 100 countries, has been featured in BBC and Vogue among others and boasts a 30,000 strong social media following. Her first book, I Heart Rome (Smith Street Books / Rizzoli) is a collection of recipes and stories and was released worldwide in November 2017. In Rome you’ll find her walking the streets of Trastevere, checking out the latest bar for an aperitivo or dining with friends.